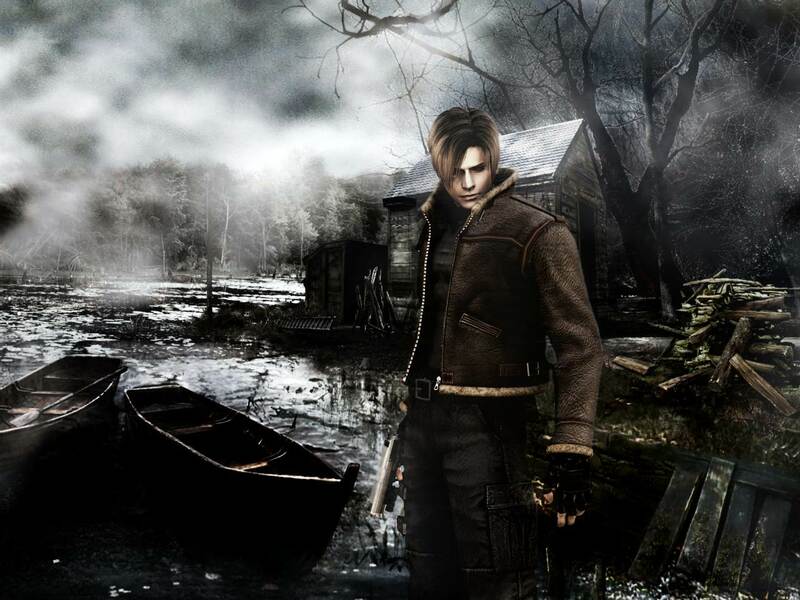 This is a wallpaper of Leon S. Kennedy from Resident Evil 4 (Or Biohazard 4, if you prefer). I made this wallpaper a long time ago for my boyfriend, and now that he's not using it anymore I figured I'd upload it for you folks to use ^_^ Enjoy! I can't play the RE games because they freak me out too much, but I always thought that Leon was cute hehe. Anyway, nice, evreything screams creepy-town-infested-with-zombies. One of my all time fav games! Nice back round like the whole thing. Owh my, this is incredible love this one. For the note : RE 4 don't have any more zombies. They all called Granados. Wow. That`s gonna be my new wallpaper!